The story of Crooked House is quintessential Agatha Christie. 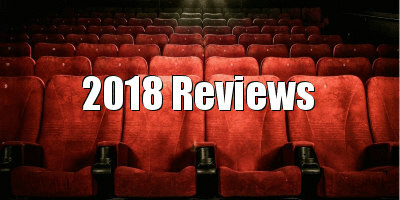 It revolves around the poisoning of a wealthy, controlling, octogenarian patriarch, Aristide Leonides, who is survived by a host of plausible suspects who live in his isolated, rambling mansion house. Here we find two questionable, middle-aged couples; Philip, (Julian Sands) the eldest son, a historian and a gambler, and his self-absorbed, alcoholic actress wife, Magda (Gillian Anderson in a severe black wig); and younger brother Roger (Christian McKay), an incompetent businessman, and his ascerbic wife, Clemency (Amanda Abbington), who happens to be a scientist in chemistry. After the death of Aristide Leonides’ first wife, her sister, the formidable Lady Edith (Glenn Close), has efficiently run the household. This includes Leonides’ pretty granddaughter Sophia de Havilland (Stefanie Martini), spotty, rude, teenage grandson, Eustace (Preston Nyman), precocious 12-year-old Josephine (Honor Kneafsey), and Aristide’s second wife, Brenda (Christina Hendricks, giving it the full-on ‘Marilyn’ treatment), a Vegas showgirl less than half his age. Indeed, the Leonides family is as disreputable a crowd of overprivileged spongers as Christie ever assembled, with only Close’s occasionally twinkly-eyed Lady Edith displaying any capacity for sagacity or humour. Hangers-on also include Josephine’s tutor (John Heffernan), with whom widow Brenda is having an affair, and a long-suffering Nanny (Jenny Galloway). As usual, any one of these characters could have ‘dunnit’. However, the detective in this case is not as insightful or as whimsical as Poirot. Charles Hayward (Max Irons, at his most handsomely bland), is a former diplomat-wannabe-spy turned private eye, who had a brief fling in Cairo with Sophia de Havilland Leonides years earlier, and who wonders whether her awareness of his unresolved feelings might have something to do with her asking him to investigate the case. The venerable Terence Stamp appears in an utterly superfluous role as Chief Inspector Taverner, a friend of Hayward’s father - still, always nice to see his name knocking about in the credits. Sharing screenplay credit with Julian Fellowes, co-writer-director Gilles Paquet-Brenner (Sarah’s Key; Dark Places) exploits not only Christie’s evergreen popularity, but also the recent vogue for all things Downton Abbey. Garnering a good-looking and prestigious cast, (playing puzzle pieces more than persons), he also makes the most of his locations, (in this case the quirky exterior of Minley Manor in Hampshire) with great set design (interiors filmed at Tyntesfield, near Bristol). He also adds interest by finding an excuse to take a brief foray into the lively nightclubs of London in the late 1950s. One of the underlying motivations made evident in Crooked House is the degree to which some characters feel resentment towards patriarch Leonides for harshly criticising and refusing to fund their misguided artistic aspirations. This general rancour is brought to its peak in the film’s macabre finale, in which the conceitedness and sense of entitlement of one of them will be cause for guilt and shame. 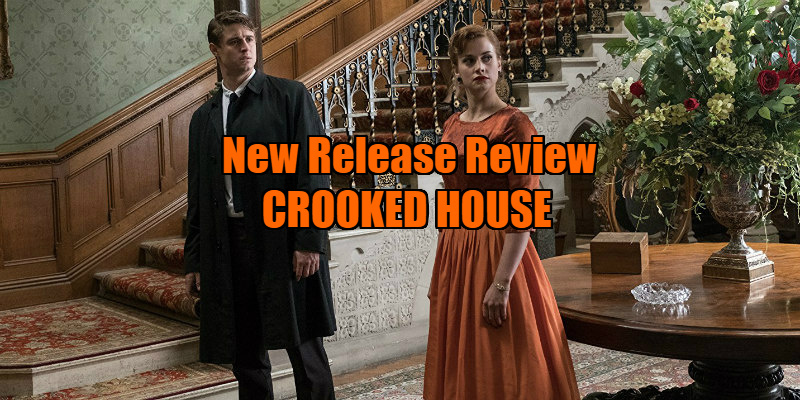 After the inevitable amount of padding and red herrings, in the final act, Crooked House does its job - the disparate clues scattered throughout finally begin to come together, and the shocking truth is revealed only at the very last minute. Although reportedly one of Christie’s favourites, this denouement was one of her most improbable and isn’t particularly interested in examining motivations. Nevertheless, the film delivers the required amount of ‘whodunnit’ speculation, along with glamour, picturesque locations, and a starry cast, and makes a speedy exit while the smokescreen is still clearing. 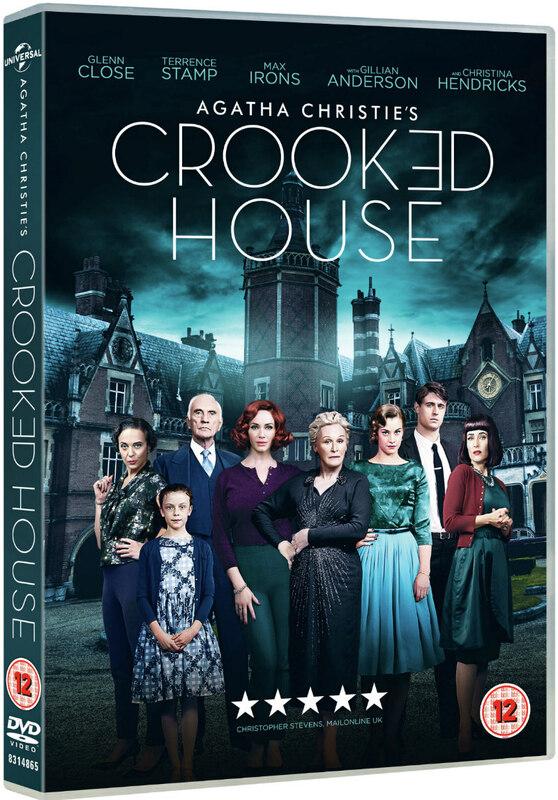 Crooked House is on DVD February 26th.